Syncovery – file synchronization and backup software! Your sync and back-up solution is here – now in all-new version 8! 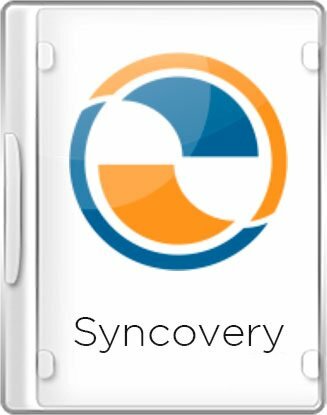 Syncovery will copy your files the way you need it. Back up your data and synchronize PCs, Macs, servers, notebooks, and online storage space. Back up your data and synchronize PCs, Macs, servers, notebooks, and online storage space. We have been backing up our data over the Internet since the 90’s, and highly recommend it. Encryption will keep your data safe. latest news – the subfolder selection dialog has a new checkmark “Automatically Add Future New Folders and Files to Selection”. also new – OneDrive and SharePoint folder listings are now done via fast “changes” based technology. Adds Block Level Copying based on our new File System Monitor Service (for Windows only). Choose this new feature on the Special tab sheet. Block level copying is now fast, without the need for tedious MD5 checksum calculations. When Syncovery starts the job, it will already know which blocks need to be copied.